One of the great advantages of publishing with HTML is its flexibility. Content can easily be modified or extended to function in new ways. This lesson will show you how to add new looks and behaviors to your in5 output. Today’s lesson should take approximately 20 minutes with the videos. When you export content from InDesign using in5, the sky is the limit on what you can create. Would you like to create a custom menu? Custom page scaling? Do something that would be impossible with InDesign alone? You can write your own code, hire a web developer to write code for you, or grab some the of pre-written snippets that are already available. Cascading Style Sheets (CSS) are used to visually style HTML content. CSS can be added to change the look of your output. Some in5 users have asked if there is an easy way to change the "Content Loading" message (i.e., to a different language). Yes, there is. Let's take a look at it right now. The first step is to create a simple text file with a .css extension. Then paste the following text into that file and save it. Next, choose File > Export HTML5 with in5... and navigate to the Resourses section of the in5 dialog. Click the plus sign (+) in the CSS section. Browse for the CSS file you saved and attach it. Click OK to export and view your content. Your custom message can be seen as the page loads. Once you've set up a resource, it will be retained each time you export this document. The same CSS file can also be attached to other documents. 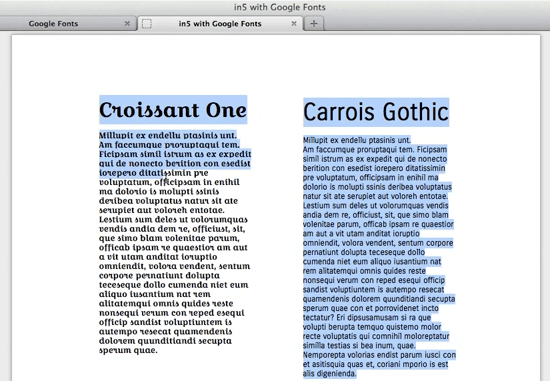 Google Fonts is a free service that lets you embed fonts for any device. 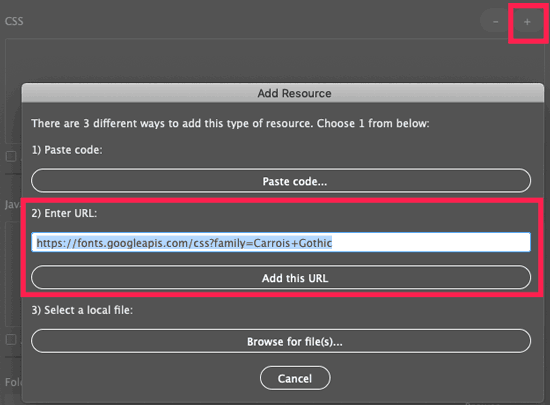 Google Fonts serves up whatever type of file is needed by the browser. Font licensing is one of the more complex aspects of digital publishing, but Google Fonts makes it easy. All Google Fonts are free and licensed for digital use. To use Google Fonts with in5 follow the steps below. Choose the Font Family and Font Weights that you'd like to use in your project. Add the font(s) to your system (using Font Book on Mac or using the right-click menu on Windows). 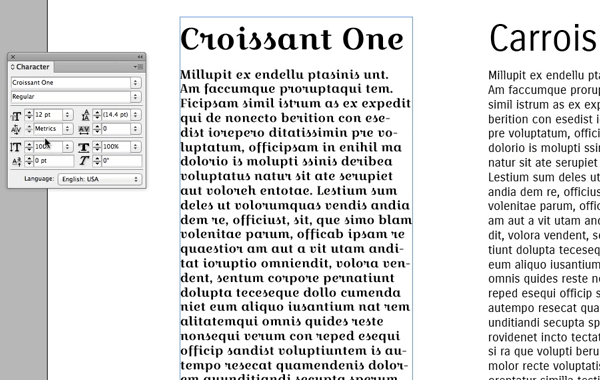 Open InDesign and apply the font family to your text (or better yet, your Paragraph Style). Choose File > Export HTML5 with in5... and navigate to the Resourses section. Copy (just) the URL from Google Fonts. Click the plus sign (+) to add a new CSS resources, paste in the URL, and click Add. Here are the same steps in video form. You can find additional snippets (and post requests) on the in5 Answer Exchange. You can extend both the look and functionality of your output. Your output is not limited by the settings that exist within in5 or InDesign.